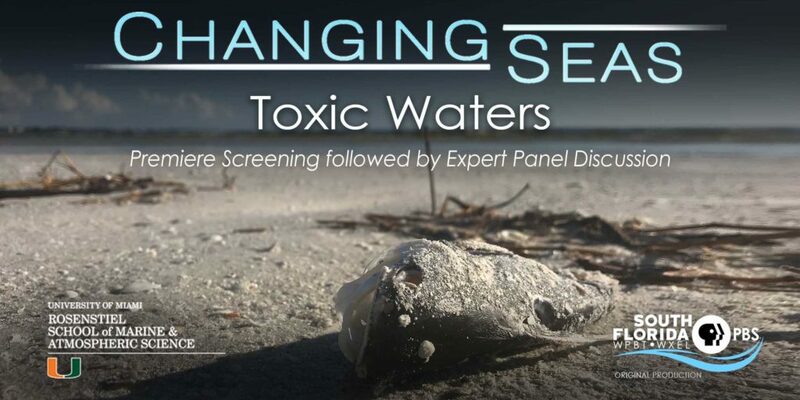 University of Miami’s Rosenstiel School of Marine & Atmospheric Science, in partnership with WPBT2 South Florida PBS and CHANGING SEAS, is hosting the premiere screening of “Toxic Waters”, the newest episode in Season 10 from this public television series produced by WPBT2 South Florida PBS in Miami, Florida. Harmful algal blooms come in many forms, from toxic outbreaks impacting the health of animals and humans, to non-toxic but expansive sargassum mats devastating local economies and tourism. Scientists are working to understand what causes these blooms, how they impact us, and how we can stop them. The event is free, but an RSVP is required. Seating begins at 5:30; screening starts at 6:00 p.m. with a panel discussion after.